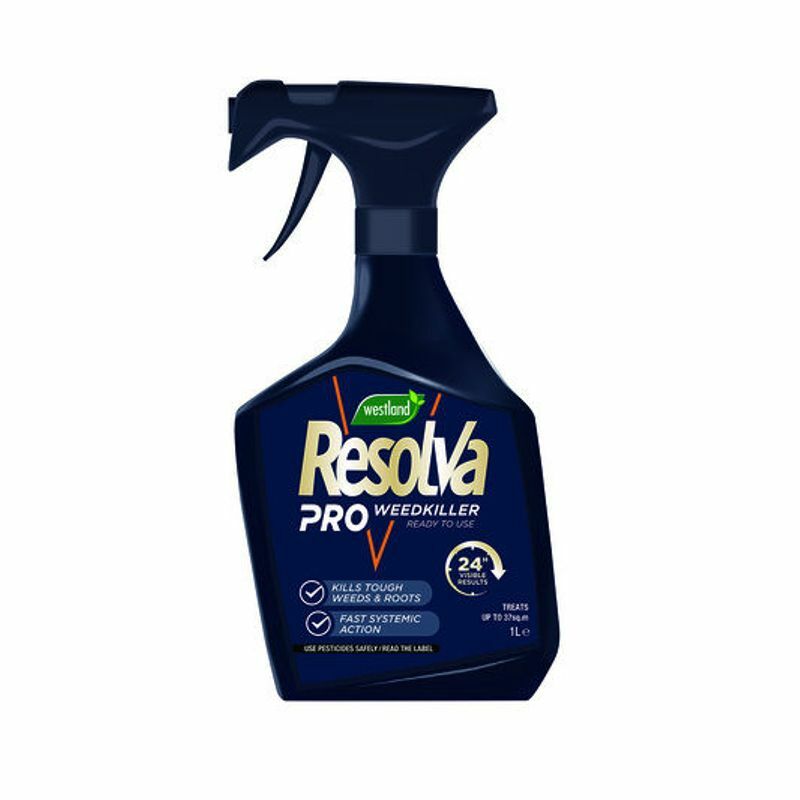 is a ready to use systemic weed killer that kills roots to prevent weeds coming back. 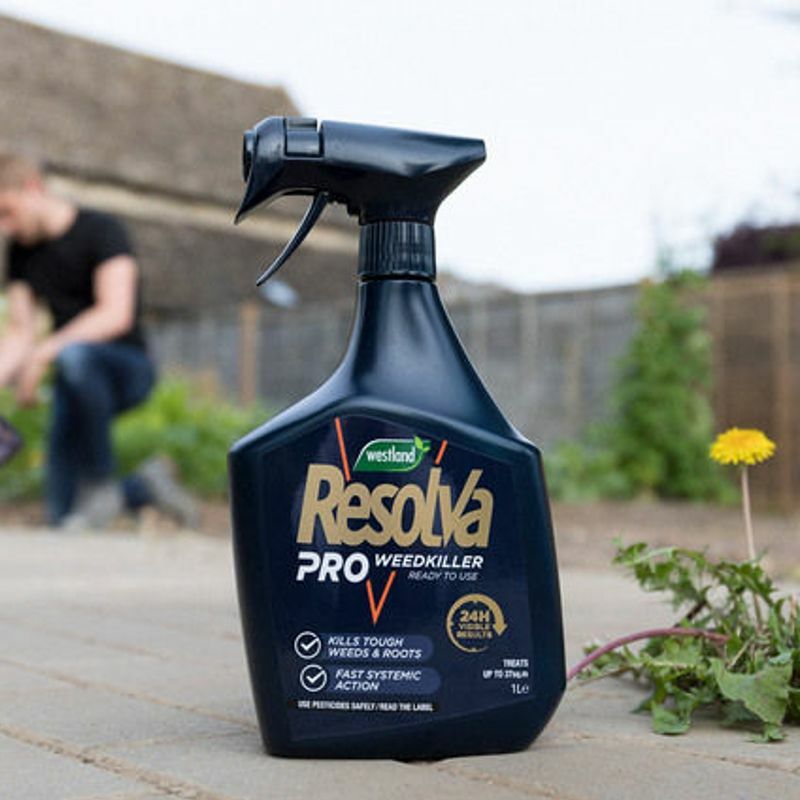 This weed killer is for use on unwanted vegetation and can be used on beds, borders, paths, patios, driveways and waste ground. It can also be used to kill off lawns before re-seeding and re-turfing. 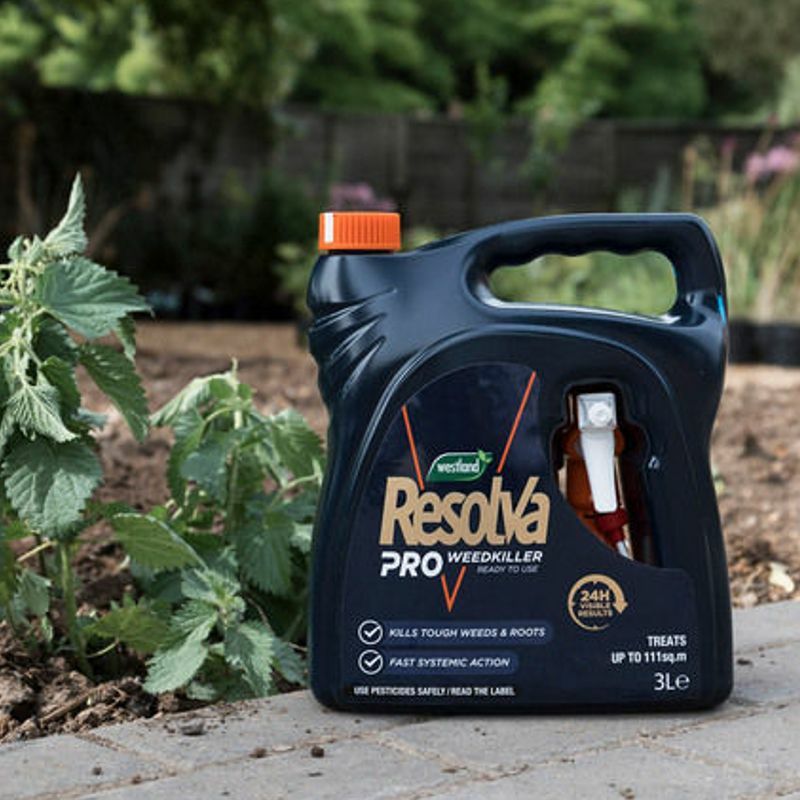 It only takes 24 hours to see visible effects from this weed killer and the liquid itself breaks down naturally in the soil. Use only once per year. 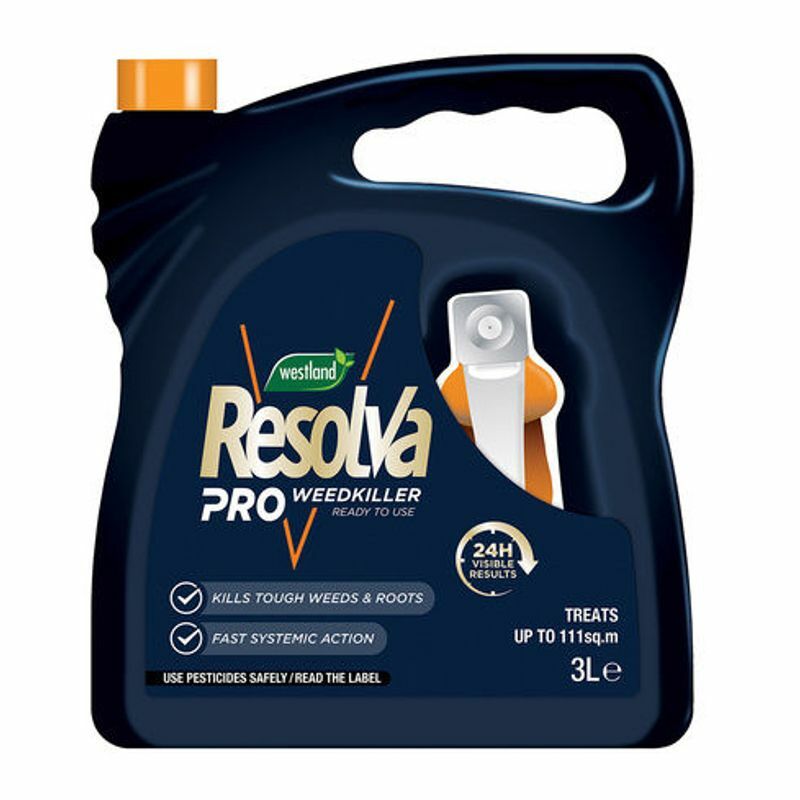 Resolva Pro Weedkiller Ready to Use is a ready to use systemic weed killer that kills roots to prevent weeds coming back.